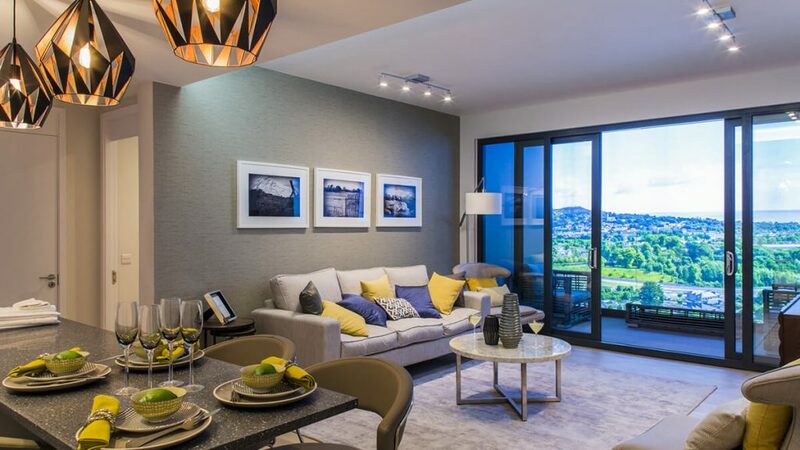 These multi-family apartments are conveniently located at the Brides Glen Luas station. The project is a pedestrian oriented development that promotes walk-ability and connectivity, utilizing the topography to conceal parking structures. 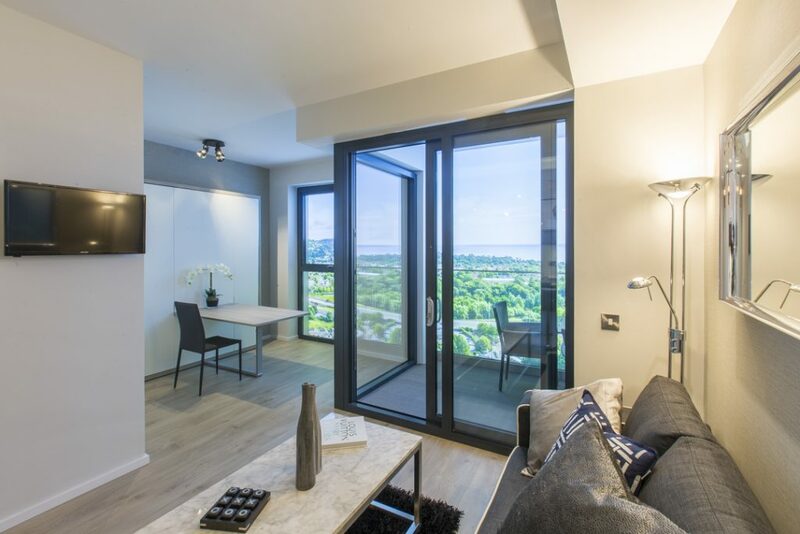 Looking out towards Dublin Bay, Blocks 1 and 2 are designed around private courtyards and gardens. The two buildings are connected on level 5 by an amenity bridge with social areas, fitness facilities and a business centre, while the main entry is to Block 1 from the Grand Parade. Amenities are a shared feature for all inhabitants of the project serving as an egalitarian space for exercise, leisure, organized functions, and recreation available to all. 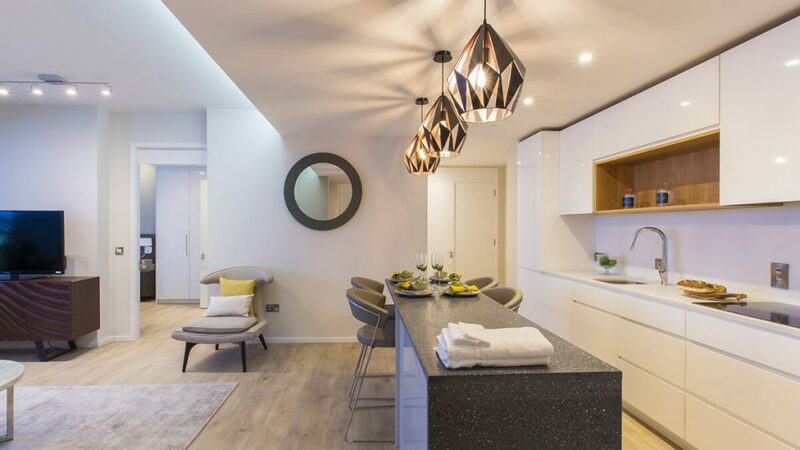 The open plan design of the apartments allows direct access into the combined living/kitchen area from the corridor without passing through a lobby with fire doors. 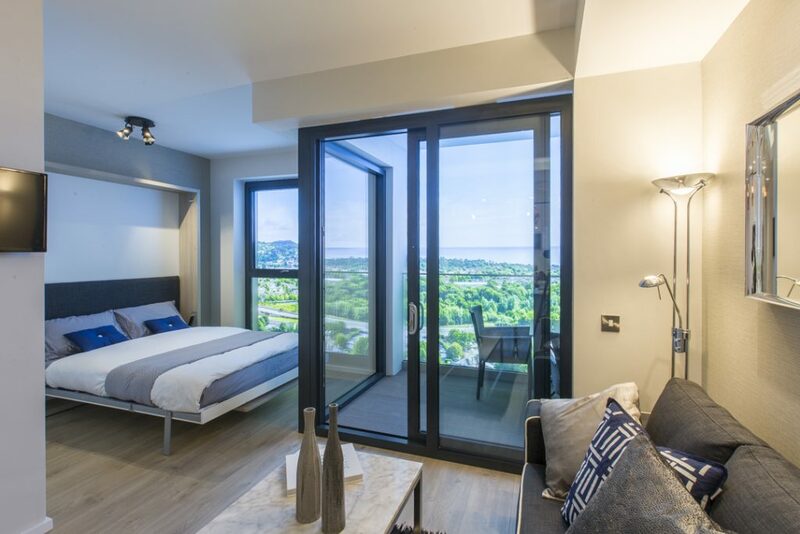 In the case of the two bedroom units, there is a bedroom and bathroom on each side of the living area which can be accessed directly without passing through a hallway. 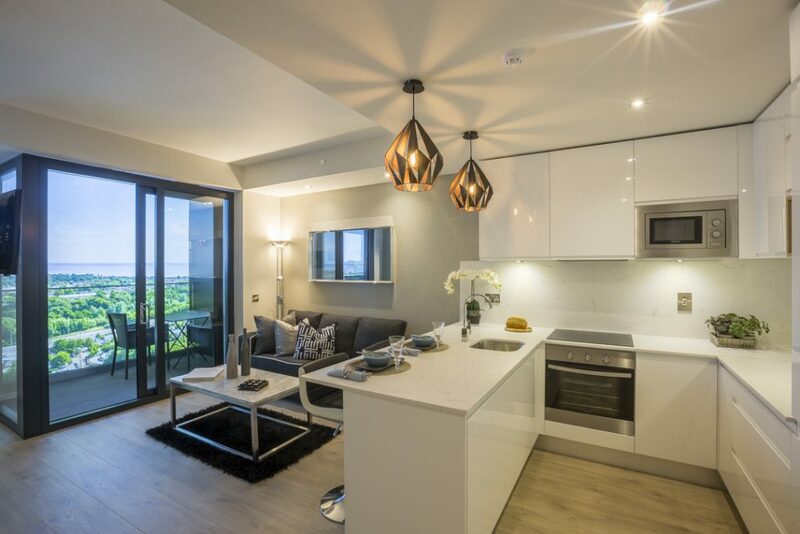 In order to achieve the open plan layout and comply with fire safety requirements, our apartments in Cherrywood must have sprinklers. Extensive fire testing was required to satisfy Dublin Fire Brigade that the open plan apartments with sprinklers were as safe as, or safer, than conventional apartments with lobbies and fire doors without sprinklers. The testing and reporting was carried out by the Building Research Establishment (BRE) in the UK. BRE carried out the testing for the UK fire code and guidelines which the Irish fire code is based on. The testing showed that the risk to life is significantly reduced in the case of the open plan apartments with sprinklers.